Dr. Nakamura was born and raised in Orange County. He attended the University of Southern California for his undergraduate education, where he earned his Bachelor’s degree in three years and graduated Phi Beta Kappa(academic honors). He then went onto the University of Southern California’s School of Dentistry where he earned his Dental Degree along with additional science and academic honors. Continuing on in his Specialty Training at the University of Southern California’s School of Dentistry for his postdoctoral orthodontic residency, he also received his Master’s of Science Degree in Craniofacial Biology. 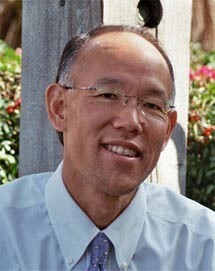 Dr. Nakamura currently resides in Laguna Niguel with his wife Sally and their two daughters, Tiffany and Annie.